Home > Debt > Will Debt Consolidation Help You Become Debt Free? Will Debt Consolidation Help You Become Debt Free? To consolidate or not to consolidate your debt? That is the question. Actually, the real question is will debt consolidation help you become debt free? It can be tempting to consider debt consolidation, especially when one accumulates a large amount of debt from several different sources. 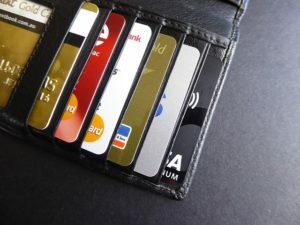 They might start thinking about consolidating their debt from several credit cards down to only one with a balance transfer, or they might think about taking out a personal loan to consolidate credit cards and other forms of debt. Debt consolidation can be successful, but it takes a lot of discipline to pay off that debt, not use your cards and refrain from getting new ones. So, should you do it or not? Let’s take a look at some of the arguments for both and against debt consolidation. As mentioned, debt consolidation only works if you are dedicated to an overall debt reduction strategy. If you are willing to make the necessary sacrifices and be disciplined, debt consolidation is a great method to add to your debt-free strategy. Then again, if you are nearly debt free already, it may not be worth the hassle to consolidate your debt. Here are some of the pros of consolidating your debt. When putting all of your debt into one loan or credit card versus several you usually get a lower interest rate. A lower interest rate can help you to pay off your debt quicker as more of your money will go toward the principle instead of interest. Lenders like Avant, Lending Club and LightStream can all lower your rate by half, or more, and help you kill the debt quicker. Debt consolidation can also result in a lower overall monthly payment too versus making minimum payments on several debt balances. Lumping all of your debt together and making only one monthly payment can also help you with paperwork and budgeting as you are less likely to let something slip through the cracks since you only have one loan and payment to keep track of and remember. There are several different ways you can consolidate your debt. You could choose to do a balance transfer to a credit card with a 0% or low APR. Or you could try to take out a home equity loan, personal loan, or some other type of loan. Remember, when you consolidate your debt, you still have to pay it all back. So, don’t go and start swiping your credit cards again after you’ve consolidated. If you aren’t really dedicated to getting out of debt once and for all, it may not be a good idea to consolidate your debt. Here’s why. Some people who consolidate their loans actually end up with more debt. Their mindset can drive them further into debt as they continue to spend what they don’t have. They may feel like their debt is “not so bad” once it’s all consolidated onto one credit card. If you use a home equity loan to consolidate your debt and then default on that loan, you can lose your house. Being homeless with a mountain of debt does not help anyone with their debt reduction plan. Another mistake you could make is taking out a 401(k) loan to pay off debt. This is never a good idea. You’ll have to pay hefty fees and taxes to take out a loan, and your money won’t be earning interest while you’re using it consolidate debt. You have to be willing to chop up those cards, change your spending habits and be dedicated to paying off debt no matter if you consolidate debt or not. Without this drive, becoming debt free will only be a fantasy, even if you do consolidate your debt. If you are considering debt consolidation, make sure you’ve considered the pros and cons carefully. Have you ever considered debt consolidation? If you’ve tried it, did it work for you?